The Department for Education offers information about the education resources, schooling and educational centres. 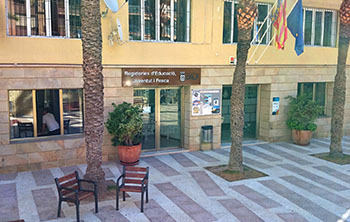 Its objective is to inform the parents with schoolchildren about subjects of educational interest, as well as to inform about the cultural and social resources of Calp. It also provides the youths that recently abandoned their studies with information and guidance in order to find new education possibilities or to help them with their first jobs. We want to be close to the people. This website aims to be a communication channel to hear your voice, your worries, your initiatives and your proposals to improve. We want that the residents in Calp find a closer, more transparent, efficient and committed Public Service looking for the well-being and life quality of its citizens.